Woohoo! 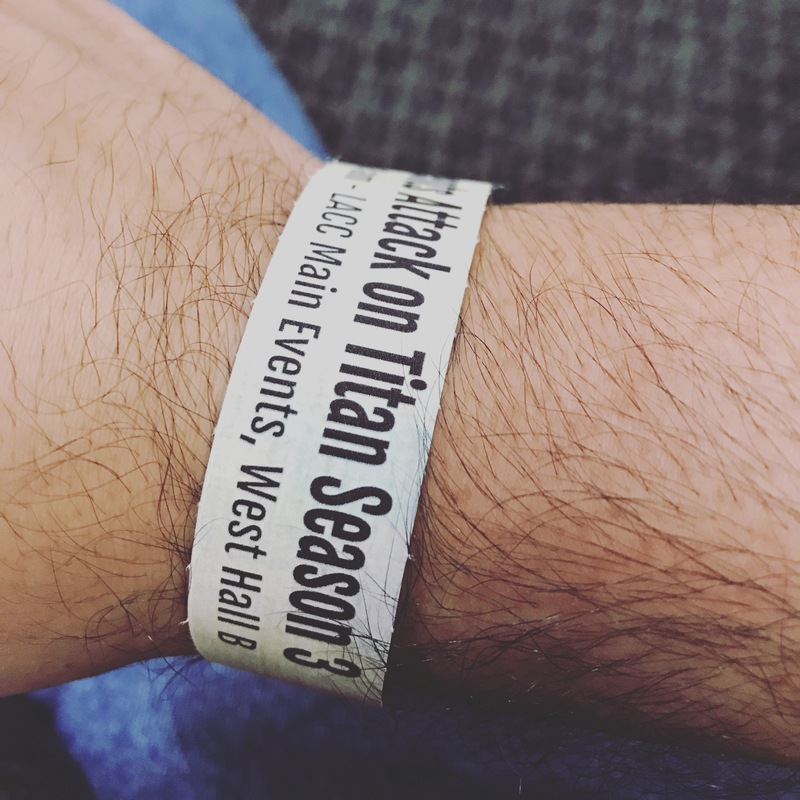 Was able to get wristband for AoT S3 premiere at Anime Expo! I believe the voice of Erin from both Japanese and English will be in this panel as well! Looking forward. Got about 30-40min wait before they start letting us in.